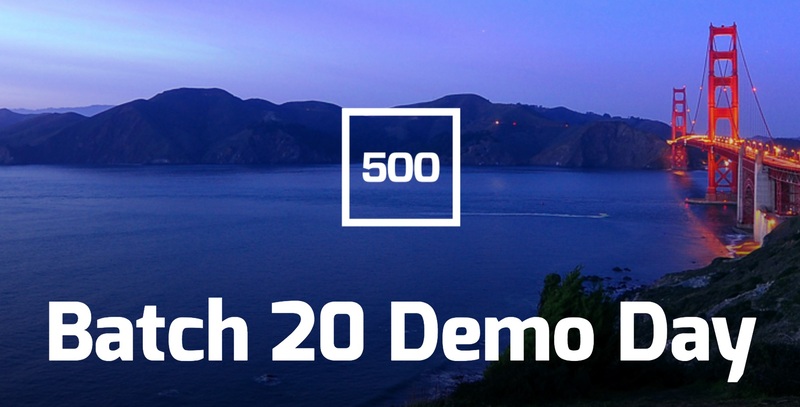 Today is the 500 Startups Batch 20 Demo Day in San Francisco, CA. The startups will pitch to an audience of Venture Capitalists, Angel Investors, and decision makers at large tech companies, in hopes of closing their first (or next) round of funding. This batch of companies includes products and services ranging from a crowdsourced texting ticket app, an open alternative to Siri, ecommerce retargeting software, automation technology for individual investors, a leadership tool for millennial teams, biometric based personal nutrition, and Machine Learning analytics for city planning, natural language interface software for databases, fundraising software for universities, and more. Login to Mattermark to see the complete list. We ranked this batch of 41 500 Startups companies and found the following 25 with the highest Mattermark Growth Score. Mycroft AI is an open alternative to Siri or Amazon Alexa. Mattermark Growth Score: 736. View their slidedeck. Shoelace is a retargeting expert that helps ecommerce businesses increase sales by recapturing lost visitors. Mattermark Growth Score: 427. View their slidedeck. Alta5 is automation technology built for individual investors. Mattermark Growth Score: 321. View their slidedeck. EquitySim is building software to enable a future where all jobs are hired via simulation. Mattermark Growth Score: 312. View their slidedeck. Clanbeat is a leadership tool for millennial teams to help managers keep and grow talent with performance reviews people look forward to and better manager with 1-on-1s. Mattermark Growth Score: 260. View their slidedeck. Cadence Stream allows you to stream real-time translation into your business meeting or live event. Mattermark Growth Score: 191. View their slidedeck. Boon is connecting talent and employers through a “revolutionary” referral recruiting engine. Mattermark Growth Score: 172. View their slidedeck. VIA Global Health makes it fast, easy and affordable for healthcare providers around the world to access the medical supplies they need. Mattermark Growth Score: 161. View their slidedeck. Numina is a standalone sensor solution that uses computer vision to deliver real-time insights from streets and make cities more responsive. Mattermark Growth Score: 127. View their slidedeck. CreditStacks offers premium credit cards for trustworthy, pre-prime, new-to-credit customers. Mattermark Growth Score: 115. View their slidedeck. Obie is a virtual assistant to help you make faster decisions, be more informed, and access your team’s knowledge base. Mattermark Growth Score: 115. View their slidedeck. YayPay provides an accounts receivables management software that uses Machine Learning to automate workflow, personalized interactions with customers, and cash prediction. Mattermark Growth Score: 102. View their slidedeck. Orderly Health is an automated 24/7 concierge to navigate your healthcare, powered by AI. Mattermark Growth Score: 81. View their slidedeck. TrueCare24 is a unified health access network for chronic patients to live happier by easily accessing medical services at home. Mattermark Growth Score: 79. View their slidedeck. Preteckt is a hardware and software solution for trucks that uses machine learning to predict breakdowns before they cost you money. Mattermark Growth Score: 77. View their slidedeck. FriendlyData is the API based SaaS solution that helps businesses make data accessible for non-technical people by providing Natural Language Interface for databases. Mattermark Growth Score: 73. View their slidedeck. Visabot is the first bot-embedded solution streamlining U.S. visa process and touts itself as “100x faster than any attorney”. Mattermark Growth Score: 57. View their slidedeck. Nazar is an agentless database performance monitoring SaaS. Mattermark Growth Score: 52. View their slidedeck. Cyberwrite provides cyber security predictive analytics for the insurance space. Mattermark Growth Score: 47. View their slidedeck. Skeyecode is two-factor authentication made simple and secure as a software security technology built to be robust against new cyber threats without hardware components. Mattermark Growth Score: 46. View their slidedeck. Court Buddy is a wholly-automated legal tech platform and instant matching service with solo lawyers on-demand for your a-la-carte legal services at flat rates based on your budget.. Mattermark Growth Score: 36. View their slidedeck. Raxar is an intelligent data management platform that enables enterprise and government agencies to reduce costs, track critical assets, and optimize complex workflows. Mattermark Growth Score: 33. View their slidedeck. BenRevo creates sales automation software for the health insurance industry. Mattermark Growth Score: 31. View their slidedeck. Optimity is a full-service digital platform that proactively helps employees be mindful & healthy, and sustainably controls costs for employers & insurers. Mattermark Growth Score: 31. View their slidedeck. WellTrack provides Computerized Cognitive Behavioral Therapy (CCBT) for the treatment of stress, anxiety and depression. Mattermark Growth Score: 23. View their slidedeck. How does the 500 Startups batch compare to previous batches? What industries are most represented in the 500 Startups batch? How many employees, app downloads, or website visits do they have? What % of the batch has a B2B business model? How fast are these startups growing?